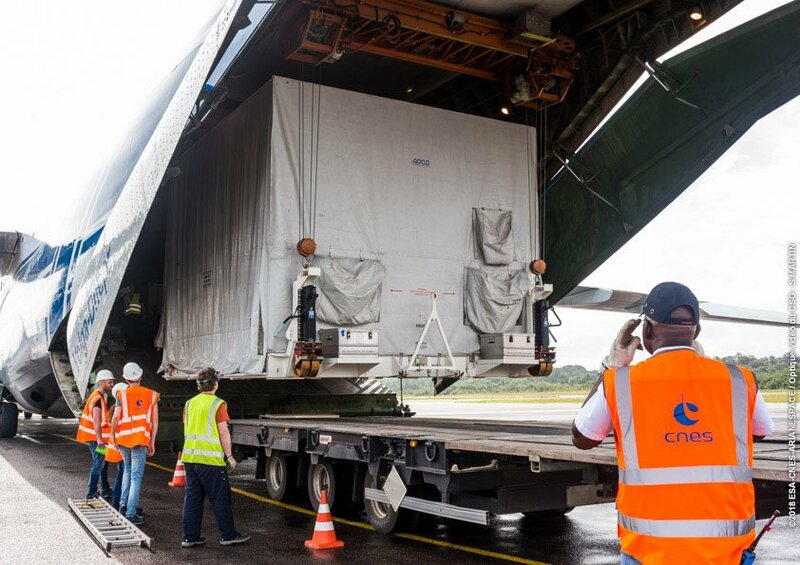 According to Arianespace, four airlifts will transport the spacecraft pieces and test equipment from Europe to the South American spaceport. The first occurred April 24, 2018. The second was announced via a tweet from the company’s CEO, Stephane Israel, as occurring on April 27. 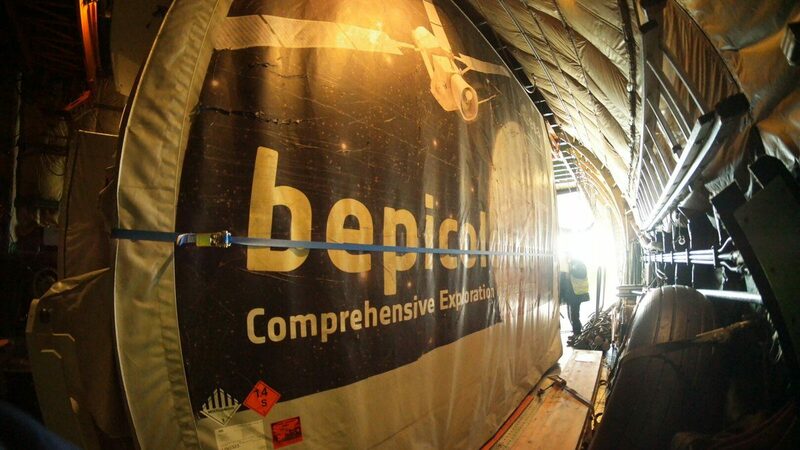 “It was another busy day in French Guiana with the second delivery of elements for the #BepiColombo, a joint mission between @ESA and @JAXA_en executed under ESA leadership,” Israel tweeted. 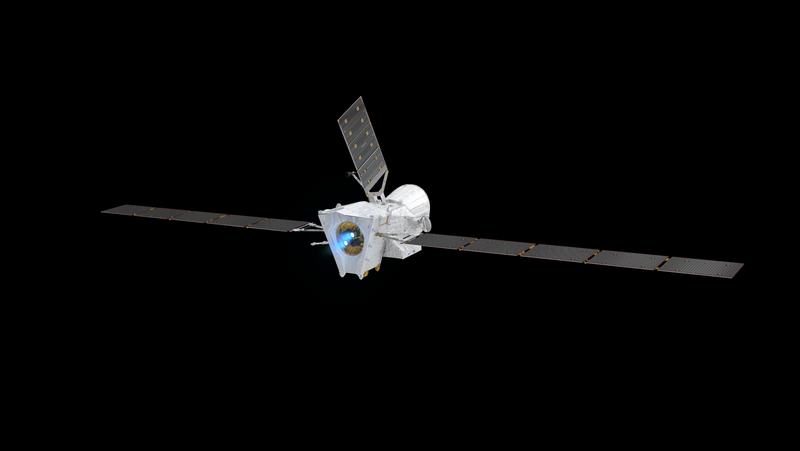 The three parts of the European Space Agency (ESA) BepiColombo mission are the Mercury Planetary Orbiter (MPO), Mercury Magnetospheric Orbiter (MMO), and the Mercury Transfer Module. Mounted on the transfer module, the two orbiters are designed to use electric propulsion and gravity slingshot maneuvers to reach Mercury and assume orbit. Just before entering orbit the two orbiters are expected to be released from the transfer module on co-planar orbits. 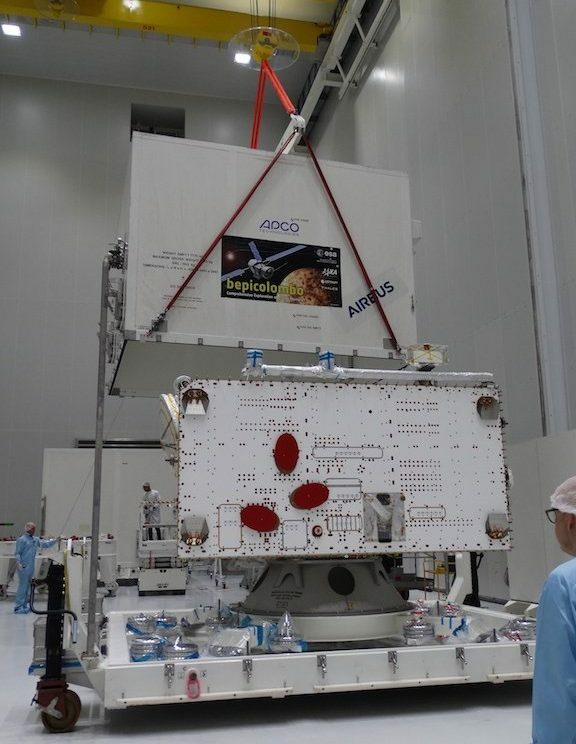 BepiColombo is currently scheduled to launch in October 2018. After liftoff, the Mercury Transfer Module is expected to unfold its 39-foot (12-meter) solar arrays and begin the long journey toward Mercury. The trip includes one flyby of Earth, two flybys of Venus, and six flybys of Mercury before arriving in Mercury orbit in December of 2025. Designed and built by ESA, MPO includes a specialized 1,000 watt solar array that is designed to carefully manage its angle to the Sun to prevent overheating. MPO’s instruments include a laser altimeter for precision mapping of Mercury’s surface, a spring accelerometer for examining the gravitational influences on the spacecraft around Mercury, a magnetic field investigating experiment, a radiometer and thermal imaging experiment to examine the thermal properties of Mercury’s surface, an X-ray spectrometer for examining the elemental composition of Mercury’s surface, a radio science experiment, an ultraviolet spectrometer for examining Mercury’s thin, temporary atmosphere, an ion and neutral particle analyzer that will also examine the atmosphere around Mercury, an integrated stereo imager and spectrometer, and a solar X-ray and particle sensor. 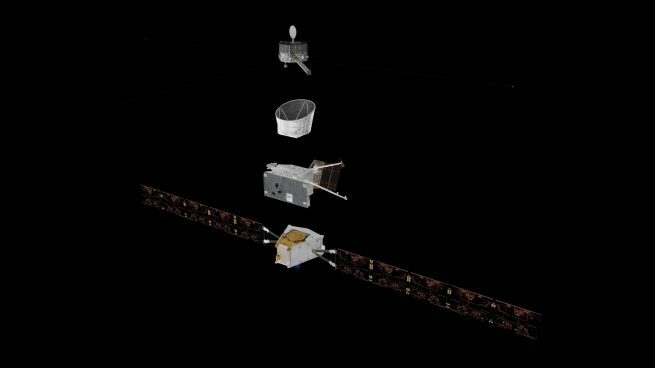 The other orbiter, MMO, was provided by the Japan Aerospace Exploration Agency, which has partnered with ESA for the BepiColombo mission. The MMO is a small, octagonal spacecraft with 99 pounds (45 kilograms) of instruments to study the magnetic field around Mercury, as well as the plasma environment and dust around the planet. This orbiter will be carried on top of the MPO protected by a sun-shield called MOSIF, short for Mercury Orbiter Sunshield and Interface Structure.